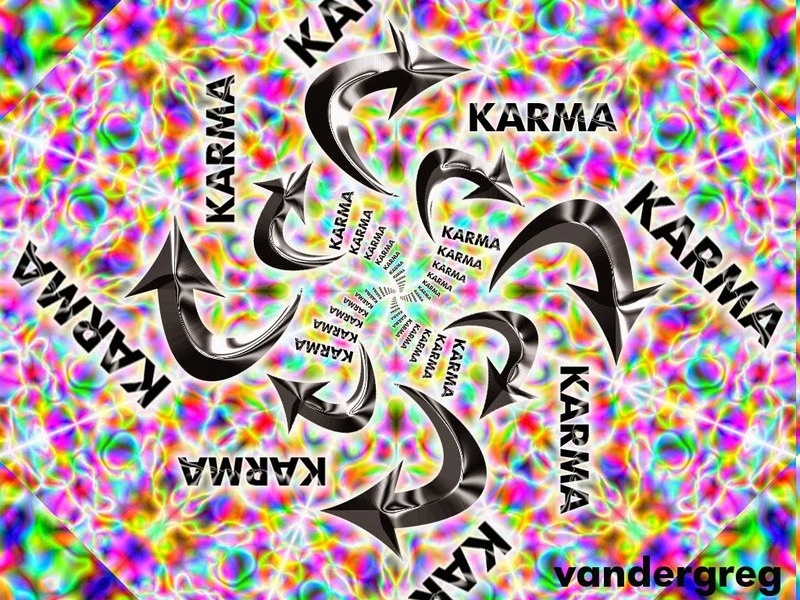 Karma is a concept in Hinduism which explains causality through a system where beneficial effects are derived from past beneficial actions and harmful effects from past harmful actions, creating a system of actions and reactions throughout a soul’s reincarnated lives forming a cycle of rebirth. The causality is said to be applicable not only to the material world but also to our thoughts, words, actions and actions that others do under our instructions. Sanchita is the accumulated karma. It would be impossible to experience and endure all karmas in one lifetime. From this stock of sanchita karma, a handful is taken out to serve one lifetime and this handful of actions, which have begun to bear fruit and which will be exhausted only on their fruit being enjoyed and not otherwise, is known as prarabdha karma. Prarabdha Fruit-bearing karma is the portion of accumulated karma that has “ripened” and appears as a particular problem in the present life. Kriyamana is everything that we produce in the current life. All kriyamana karmas flow in to sanchita karma and consequently shape our future. Only in human life we can change our future destiny. After death we lose Kriya Shakti (ability to act) and do (kriyamana) karma until we are born again in another human body. 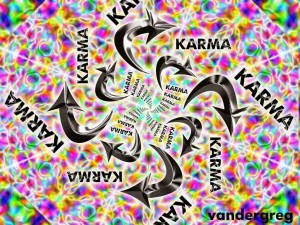 Some believe that only human beings who can distinguish right from wrong can do (kriyamana) karma. Therefore, animals and young children are considered incapable of creating new karma (and thus cannot affect their future destinies) as they are incapable of discriminating between right and wrong. The law of karma underpins the process of transmigration of the soul. 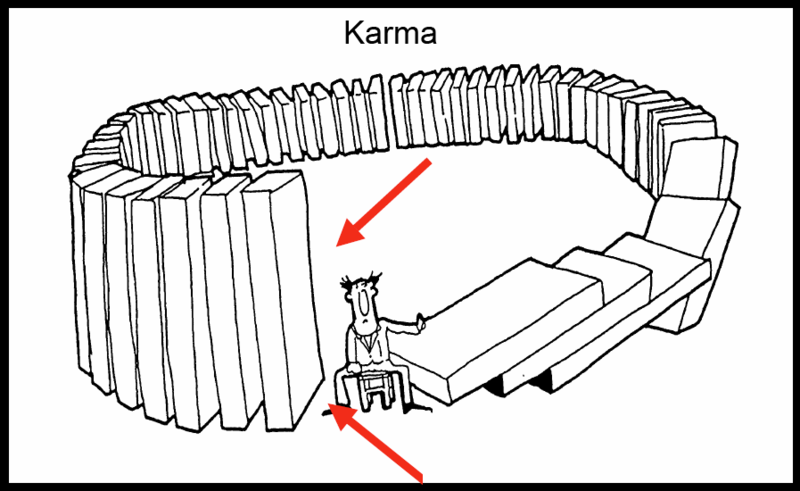 Karma literally means “action,” but more often refers to the accumulated reactions to activities. Thus we talk of “good karma” and “bad karma,” which are stored reactions that gradually unfold to determine our unique destiny. The self-determination and accountability of the individual soul rests on its capacity for free choice. This is exercised only in the human form. Whilst in lower species, the atman (self) takes no moral decisions but is instead bound by instinct. Therefore, although all species of life are subject to the reactions of past activities, such karma is generated only while in the human form. Human life alone is a life of responsibility. The Bhagavad-gita (a Hindu scripture) categorises karma, listing three kinds of human actions: (1) Karma: those which elevate, (2) Vikarma: those which degrade and (3) Akarma: those which create neither good nor bad reactions and thus lead to liberation. Avoidance of impious acts, considered to bring misfortune and degradation. These includes the neglect or abuse of five sections of society, namely women, children, animals (especially cows), saintly people, and the elderly. Hindus don’t eat meat because they think that they will then be reborn as an animal. This statement suggests that Hindus perform pious activities largely out of fear and selfishness. It neglects the finer sentiments behind vegetarianism, such as empathy for fellow living beings. A good dog may become a human in the next life, whereas a bad dog may become a bird or insect. The soul passing through lower species doesn’t create any new karma. He only works off the karmic reactions generated whilst in the human form and gradually rises towards another human birth.